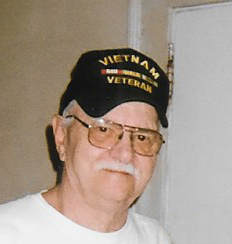 Sidney Eugene Zorbaugh, 79, of Kinston passed away on Friday, April 5, 2019 at his home. He is preceded in death by his parents, Eugene and Mildred Zorbaugh. He loved his church and most of all loved the Lord. Sidney is survived by his wife, Violet Huffman Zorbaugh; daughters, Nancy Zorbaugh, Kathy Stephens and husband Steve, Betty Sutley and husband Richard; son, David Zorbaugh and wife Lea Ann; grandchildren, Nikki Zorbaugh, Bethany Zorbaugh, Sharolyn Stephens, Jazalynn Sutley and Bethany Stratton; brothers, Butch Zorbaugh and wife Dee, Ray Zorbaugh and wife Ilene, Randy Zorbaugh and wife Deb; many nieces and nephews and special friends. Graveside service will be held 2:00 p.m., Tuesday, April 9, 2019, at Pinelawn Memorial Park. The family will be receiving friends at the home, 211 Grainger Ave, Kinston, NC 28501.